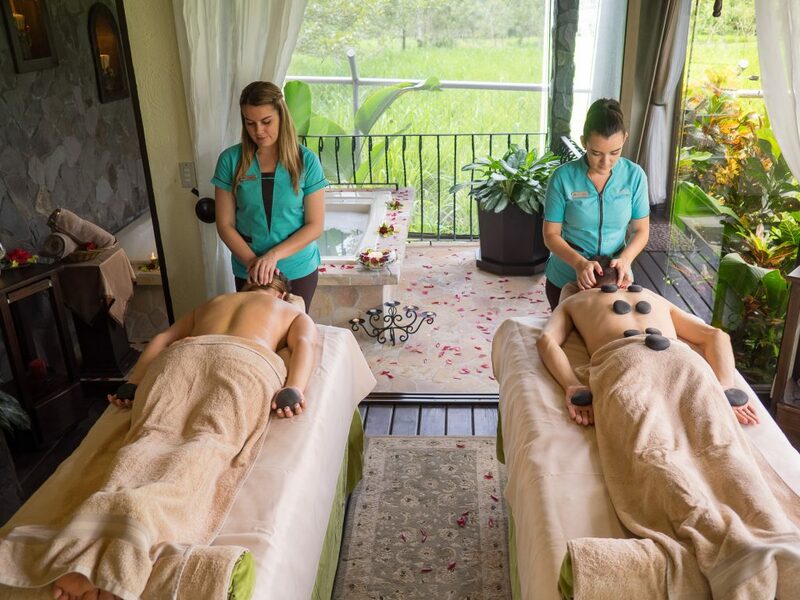 Visit our Spa for the perfect pampering; ideal after long drives, or taking part in some of the best adventures of the area. 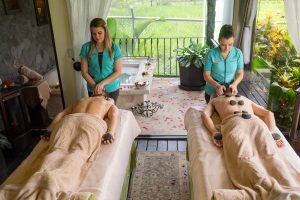 Our professional massage therapists await you in each of our three high ceiling, private bungalows snuggled among charming tropical gardens with the soothing sounds of running water, the songs of the birds, and gentle music. 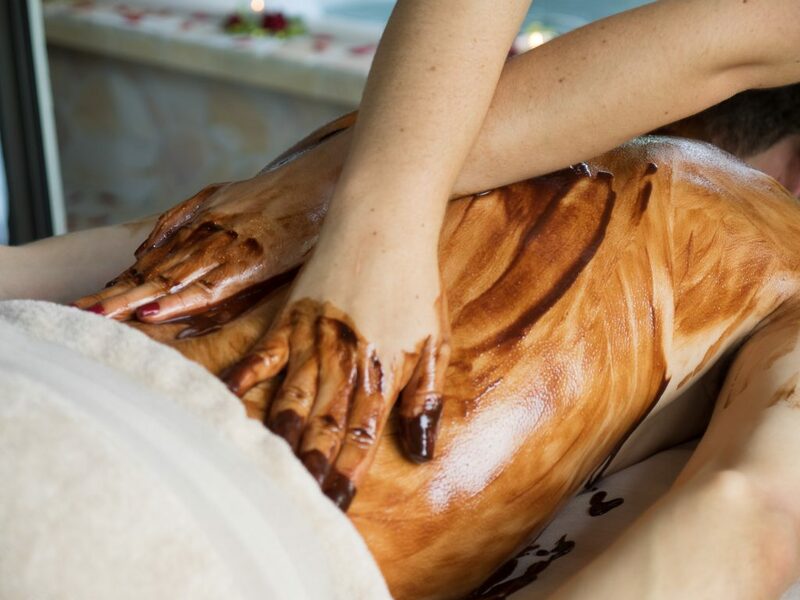 The rich aroma of pure chocolate combined with the soothing sensation of magical hands relaxing your tired muscles makes for one of the best massages you could ever dream of. 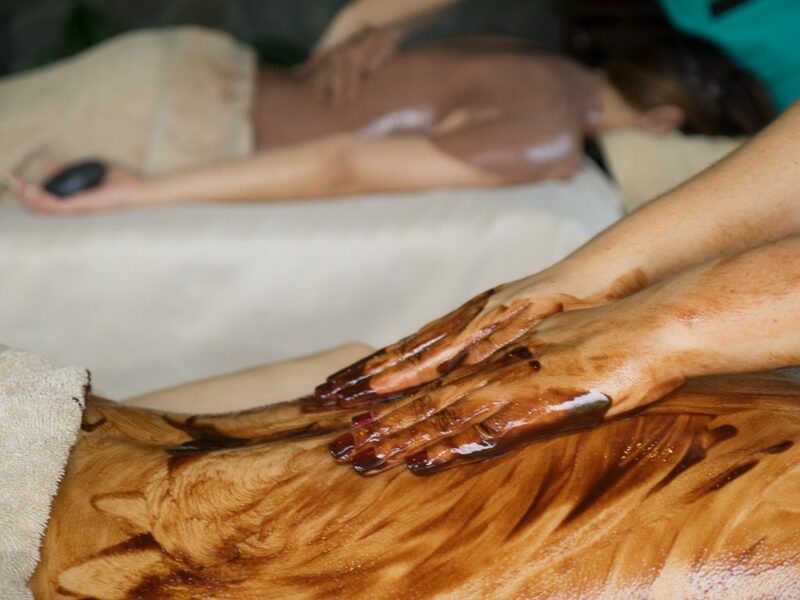 Choose a full-body Chocolate Massage with your choice of pressures or a Chocolate Body Wrap. Chocolate’s high caffeine content stimulates your circulation, allowing your blood to naturally rejuvenate and heal your skin. Antioxidants present in the chocolate also give you radiant, firmer skin and help your cells build collagen and elastin, as well as preventing damage which is responsible for the signs of aging. This is a favorite among adults and children alike. 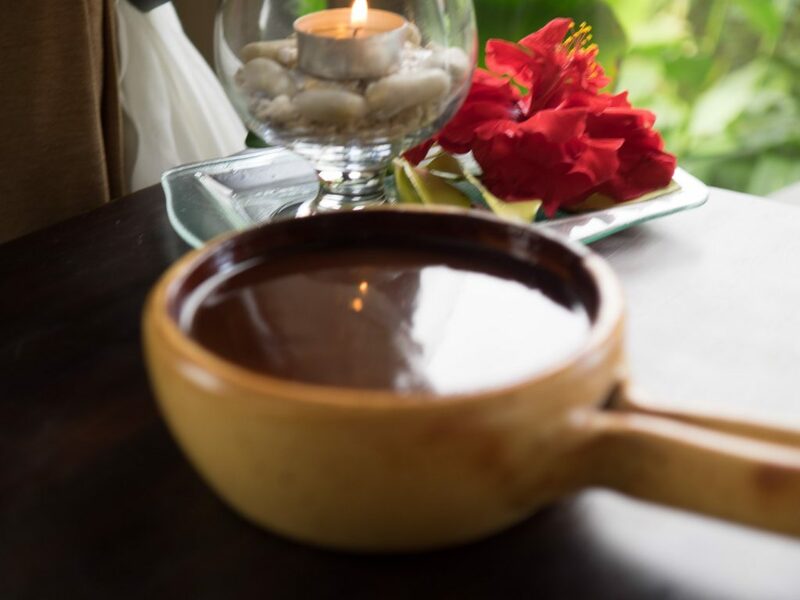 Or get lost in the exhilarating scent of fresh ground Costa Rican coffee, which is blended with pure honey and our own signature massage cream. 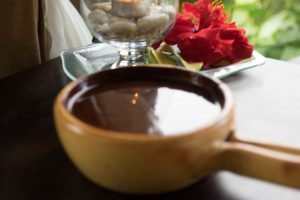 This massage is the perfect combination of exfoliating and massaging; the golden grain and primary export product of Costa Rica, is full of surprising benefits for your skin, among them; reducing redness and inflammation, removing dead skin cells, tightening your skin, banishing cellulite, and leaving your skin smoother and brighter. Expecting mothers will be treated to a much needed pampering with our Pregnant Woman Massage. Lying on your side, you will enjoy 45 minutes of a safe and relaxing full-body massage with medium pressure. Massage therapy during pregnancy is a wonderful complement to prenatal care. Reduce stress, relieve many of the normal discomforts of pregnancy, such as backaches, stiff neck, leg cramps, headaches, and swelling, and be restored to a complete sense of well-being. In addition, massages for expecting mothers reduce stress on weight-bearing joints, encourage blood and lymph circulation, help to relax nervous tension, aid in better sleep, and can help relieve depression or anxiety caused by hormonal changes. Our bungalows are set up for 1, 2, or 3 people at a time. 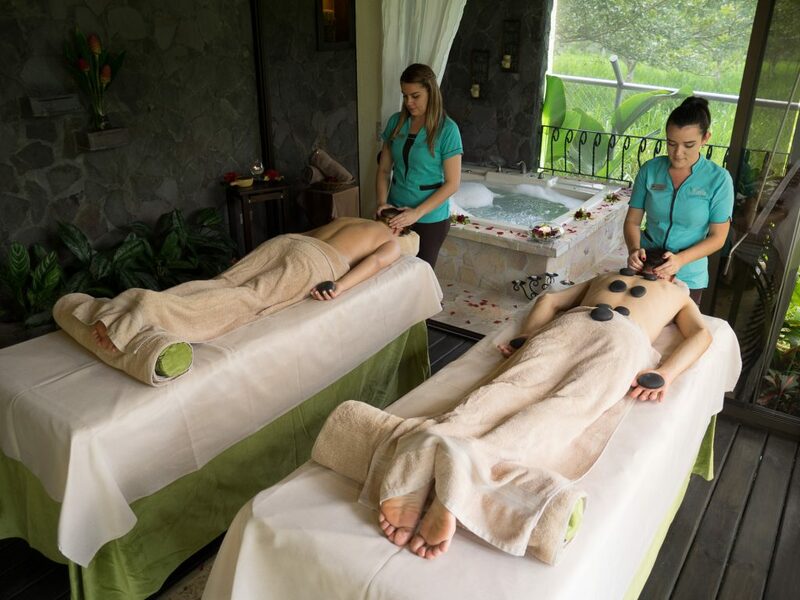 This allows for you to enjoy a private massage, a romantic couple’s massage, or share the experience as a family. Honeymooners are spoiled with an unforgettable romantic treatment package. 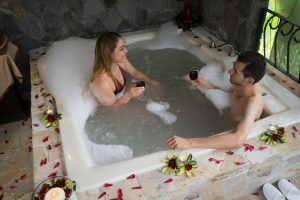 This package is comprised of 2 full hours of side by side treatments, including exfoliating body scrubs and luscious chocolate massages, followed by a relaxing candlelit jacuzzi bath with a fresh fruit platter and a bottle of wine as our gifts, to help you celebrate your new life together. Our manicures and pedicures allow you to be completely indulged and are performed while you lie comfortably on the massage bed, and include having your nails painted to your liking upon request. These are just a few of the magical treatments our massage therapists offer to nurture your mind and body, from 10 am to 8 pm daily. 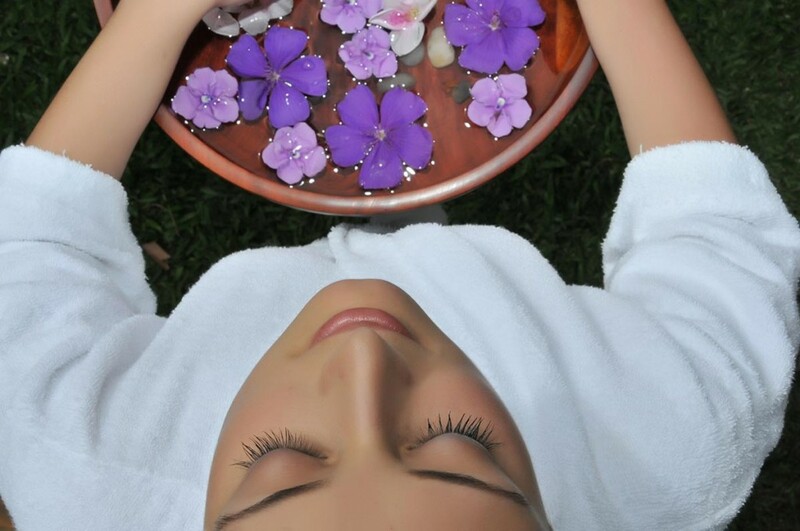 We offer massages for every pressure preference and facials for every skin type; and are happy to customize your treatment for your individual needs so you leave us fully renewed. We are careful to make sure that each of our treatments are beneficial for your body and ideal for your individual needs. Please arrive at least 10 minutes prior to your appointment, to fill out the registration form and have a chance to discuss your treatment options with your therapist. Cancer patients. Massages are only recommended after years of remission, to avoid the cancer cells being spread throughout the body. Pregnant mothers. 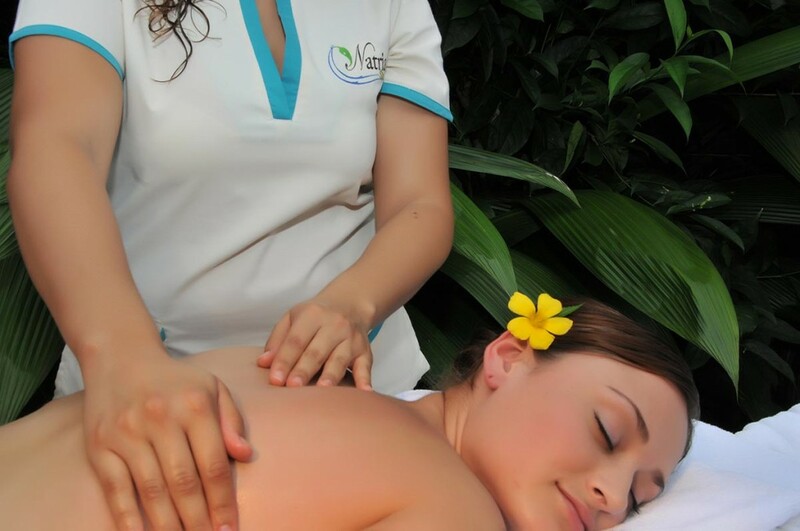 Pregnant women can enjoy our Pregnant Woman Massage after the first 3 months of pregnancy, prior to this time we cannot offer the service as it can cause miscarriage in the first trimester. Expecting women should also avoid Reflexology during their entire pregnancy. Recent Surgeries. If you have had recent surgeries, please talk to the therapist to find a treatment that is safe for you. With a fever. Please avoid massage therapies when you are suffering from a fever, as the body motions can progress whatever is causing your ailment. Varicose veins. While it does not mean you cannot have a massage, it is important that your therapist customizes the treatment style to meet your needs.